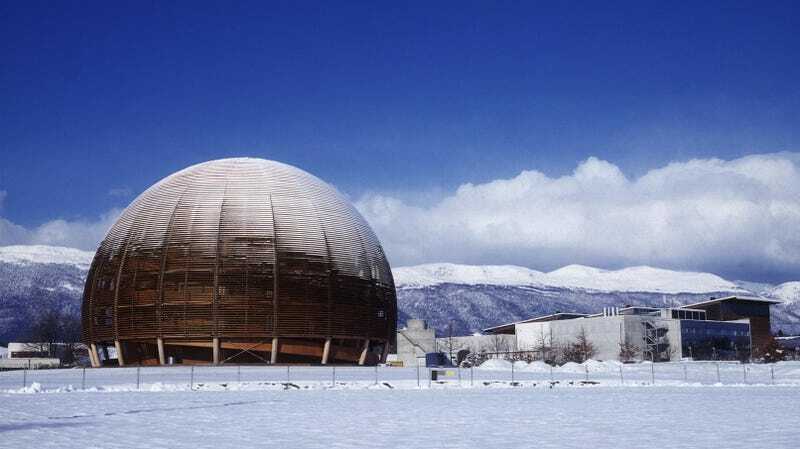 A group of 19 physicists penned a statement denouncing the talk given last week by Italian physicist Alessandro Strumia at a workshop on women in high energy physics held at CERN in Switzerland. More than 200 physicists, including Nobel Prize winner David Gross and several prominent physicist-authors, and at least 850 academics from other fields, have signed the statement as of Friday morning. Physics and science are part of the shared inheritance of all people, as much as art, music, and literature, and we should strive to ensure that everyone has a fair opportunity to become a scientist. The question of discrimination based on ascribed identity is a moral one, and we write to affirm that discrimination is not a welcome feature of our field, however pervasive it may be. .... The thin veneer of scientific rigor with which Strumia’s talk began was followed by open discrimination and personal attacks, which we condemn unconditionally. [We] write to strongly express our view that the science case presented by Strumia was fundamentally unsound.​ It is clear to all of us that Strumia is not an expert on these topics and is misusing his physics credentials to put himself forward as one. Furthermore, those among us who are familiar with the relevant literature know that Strumia’s conclusions are in stark disagreement with those of experts. He frequently made the basic error of conflating correlation with causation, and while Strumia claimed to be proving that there is no discrimination against women, his arguments were rooted in a circumscribed, biased reading of the data available, to the point of promoting a perspective that is biased against women. Strumia’s presentation was part of an event at CERN meant to address issues faced by women high energy physics, and its audience included mostly women, many early in their careers. Strumia delivered a pseudoscientific talk arguing that male particle physicists are the true victims of gender discrimination. The statement, an effort initiated by MIT physics professor Daniel Harlow and published last night, goes on to respond to the various claims in Strumia’s presentation, refuting them point-by-point. As Gizmodo previously reported, Strumia initially pitched a talk about gender statistics in physics publications. But during the talk itself, he delivered an anti-diversity screed that concluded that it is men who face bias at the hands of “(cultural) Marixsm,” that men invented physics, that women are welcomed into the field once they prove their worth, and that he had personally been wronged by hiring committees. Seyda Ipek, a physicist at the University of California, Irvine who was not present at the talk, saw Strumia’s slides online and then shared them on Twitter. She said she was surprised at Strumia’s “audacity” for giving his talk at the venue he did, and she felt a need to alert others to the content of the talk. “He’s using his role as a scientist to make people believe that [his presentation] was scientific, which it is not,” she said. A key part of Strumia’s talk was the idea that women physicists are cited less often, which he interpreted as evidence that women are worse physicists. But there’s real research into these issues that has instead concluded the citation differences are due to less access to experiments, lack of female reviewers and journal editors, and men citing themselves more often than women do. Additionally, there’s often innate politics as to whose name appears on a paper and in what order. Citation differences could simply be indicative of the current state of gender discrimination in physics. A look at the roster of the CERN department Strumia works in, theoretical physics, reveals just one woman out of the 22 scientists on staff, six out of the 41 postdocs and two out of the 23 visiting scientists. Ipek said this issue is what disturbed her the most about the talk. Young physicists already worry about their citations, she said, so even if his talk was baseless, Strumia’s words hit a sore, discouraging spot. Prescod-Weinstein pointed out that the “scientists of color and white women scientists” language is intentionally used in response to a racist dog whistle in Strumia’s talk, where he says that gender equality ignores human nature “practiced as in the plains of Africa thousands of years ago,” and to highlight that women and men of color and white women have differing experiences as minorities. In short, there are real experts on these issues who can be relied upon to give fact-based presentations, rather than folks like Strumia who seemingly just have an axe to grind.